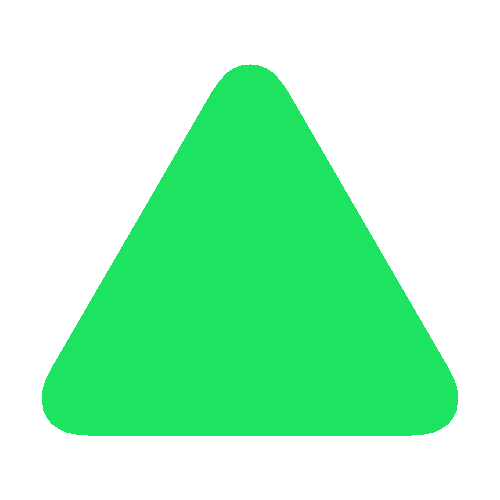 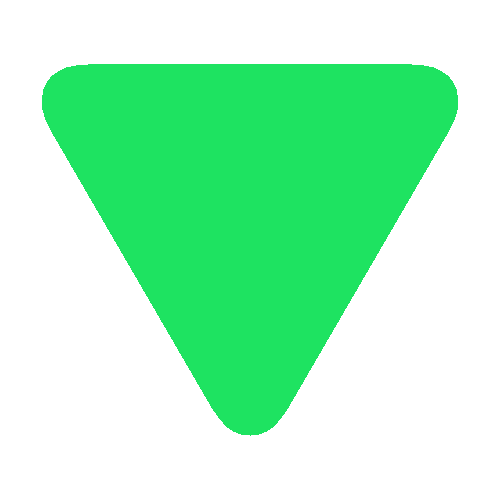 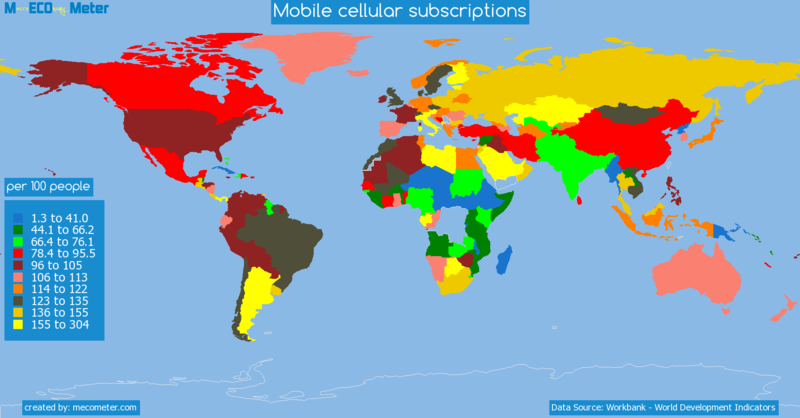 Value & RankThe Mobile cellular subscriptions of Monaco is 93.7 (per 100 people) with a global rank of 127. 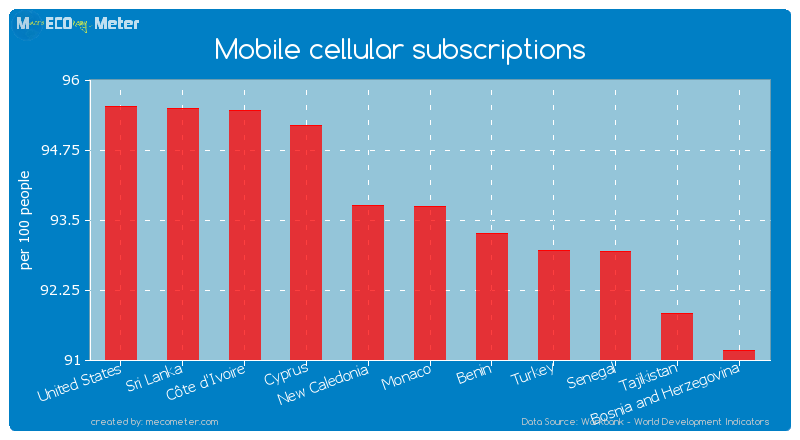 Monaco compared to other CountriesThe Mobile cellular subscriptions of Monaco is similar to that of United States, Sri Lanka, Côte d'Ivoire, Cyprus, New Caledonia, Benin, Turkey, Senegal, Tajikistan, Bosnia and Herzegovina with a respective Mobile cellular subscriptions of 95.5, 95.5, 95.4, 95.2, 93.8, 93.3, 93.0, 92.9, 91.8, 91.2 (per 100 people) and a global rank of 122, 123, 124, 125, 126, 128, 129, 130, 131, 132.10 years growthMonaco's Mobile cellular subscriptions had a positive growth of 105 (%) in the last 10 years from (2003 to 2013). 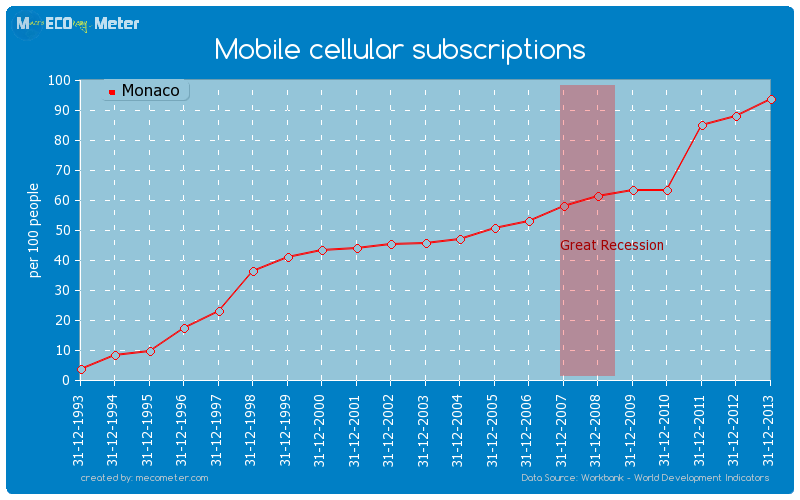 Last 10 years averageMonaco had an average Mobile cellular subscriptions of 64.6 (per 100 people) in the last 10 years from (2003 to 2013).